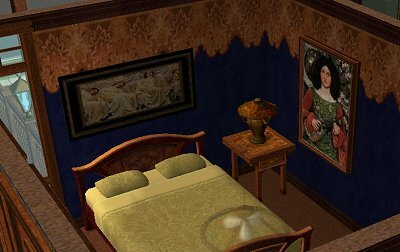 Sims2 & 3 September Challenge - Another House Makeover! September Challenge - Another House Makeover! This one is going to tax you all! 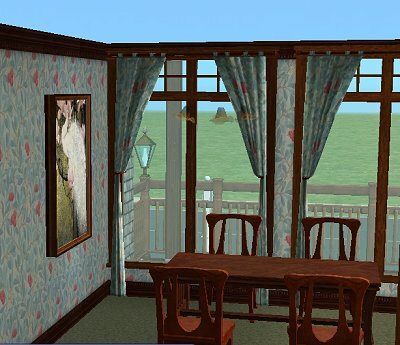 It's a house that was built back in Feb 2005 and was the first house I uploaded for Sims 2. Base Expansion only - it needs a makeover! Back in those days, we didn't have any new meshes and the recolours was new on the scene. But now it stands neglected. Neglect it no longer! It was decorated in Art Nouveau style (stuff from my website) - but it can be made over into any style. It needs some serious love in the garden. And this time, lets go with no moving walls - but doors/windows can be made into whatever you like and whatever place. And please, please, please give the roof some help. We didn't have any roof angles in base game so this was the best I could do. Also no half-walls, so a fence had to do. You can swap fences as well. 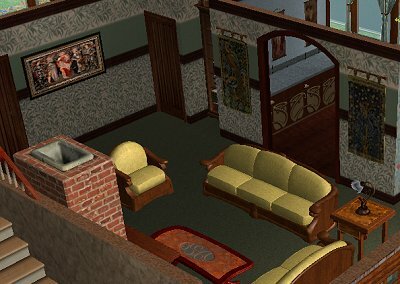 ETA: You can change over the fireplace, and you can add extra walls - but you can't remove existing walls, or move them. You can decorate in any style you like! You can add dummy floors/CFE/etc to make the roof conform to some sense of normality! Features - Wraparound verandah, conservatory, mezzanine lounge area. Oh boy, no moving interior walls! Shall be hard. Hard but fun Lunie, definitely Fun! Ohhh yes, she needs a lift, Im gonna attack that roof first!! Cna interior walls be replaced with half walls? Yup Lunie - of course - a wall is a wall whether it's half a wall or a full wall. and can we change the fireplace? Yes. You can't subtract walls, but you can add extras. Yup - you can change the fireplace, you just can't remove it entirely.